Any one knows to what are theses pipes connected? I cant take my car to someone who knows since the nearest repair 300 miles a way from me i live in a remote spot and i just want to know if any can tell which device is connected to these lines. You have a rear heater core and a rear air conditioner evaporator in the right rear quarter panel of the car. Two hoses for heat and 2 for AC. Last edited by greentraverse; 12-24-2018 at 10:12 AM. By looking at your pictures I see that these pipes are still not insulated for winter like the gen 1. This is a big loss of heat in cold climate with no insulation covering the supply and return. When are they get to learn? Any reason why your new Traverse was dismantled like that? Last edited by Capucine; 12-24-2018 at 12:01 PM. thank u so When i order a part i just order a heater core and a rear air conditioner? Is that what they called? thank u for ur help, I actually dismantled the car like that in order to know what part to bring for these pipes for the heater to work, cuz it's freezing and i dont have any heat in the car, plus i dont have any idea about the parts names to order and the repair too far from me. My 2017 has a very poor heating in the rear because the cold air from outside prevent the coolant to stay hot. ( no insulation on the pipes under the vehicule ). 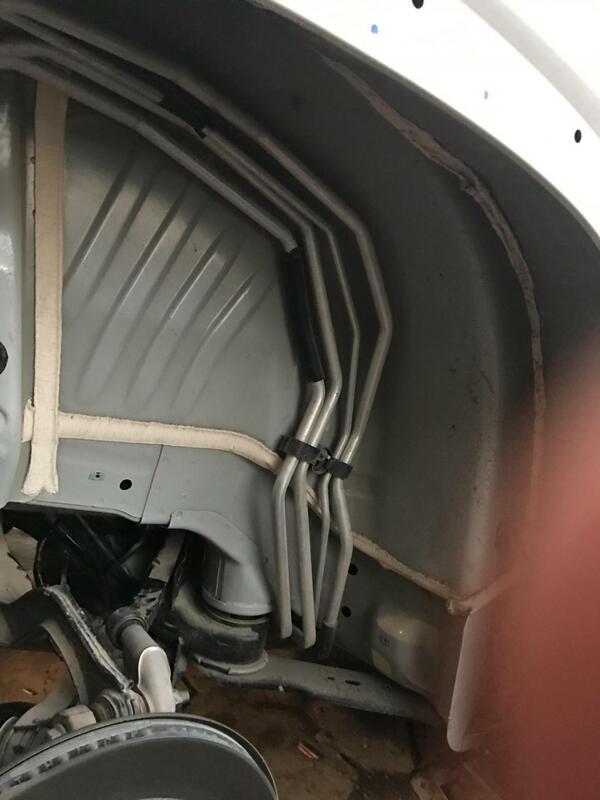 If you have a chance try to cover these pipes to keep them hot and stay warm at the back specially if you have kids in the rear seats. I was supposed to insulate mine but had no time to do them yet. For drivers living in Texas for exemple no need to worry. If you have no heat at all the best solution is to bring the Traverse to a dealer closest to you because your Traverse is on warranty. Check your owner manual to make sure you operate the right button in order to get heat at the rear also. Good luck. Last edited by Capucine; 12-24-2018 at 04:31 PM. Isn't your front heater working? Just an educated guess, but of the two bundles sets of lines shown toward the font of the rear wheel well, the bundle with two similar size pipes clipped together would be the radiator coolant lines and the other bundle (with one pipe smaller than the other) would be the refrigerant lines, larger the low pressure return line and the smaller the high pressure supply line from the compressor. Looks like it maybe a coolant line which is shown separated in one photo. 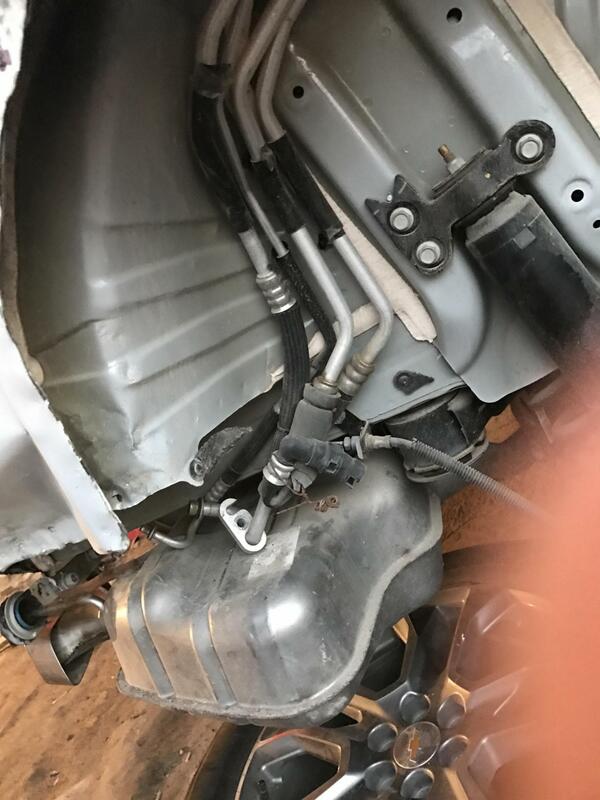 If it was discovered that way coolant loss would be the problem for the loss of heating and radiator level checked immediately to confirm loss of coolant. If disconnected on purpose the person who did it should play the lottery. Had he attempted to separate a refrigerant line without first discharging it at the compressor the result would have been a loud explosion and the prize frost bitten fingers and/or frozen corneas. 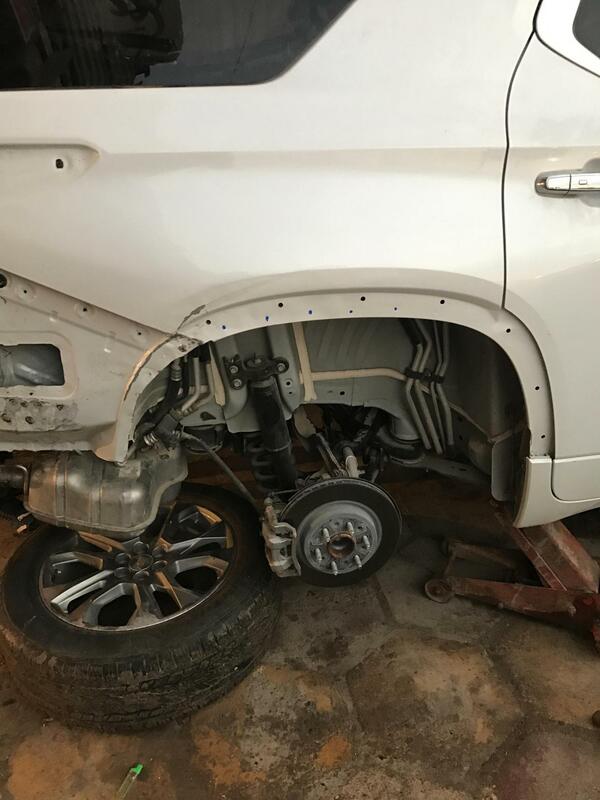 And one photo showing the body style confirms it is a 2nd gen '18+ vehicle......why take it apart since unless over 36K with over 3 times normal average mileage it should still be under warranty. If under warranty, GM will cover the costs of towing/flat bedding to the nearest dealership for repair. My .02 ........If over 36K and out of warranty and wish to have it repaired by a non-GM dealership mechanic.....should not be done or taken for repair to anyone who cannot definitely identify a coolant line from a refrigerant line by themselves or have to rely for identification to a guess provided by someone on a car forum. 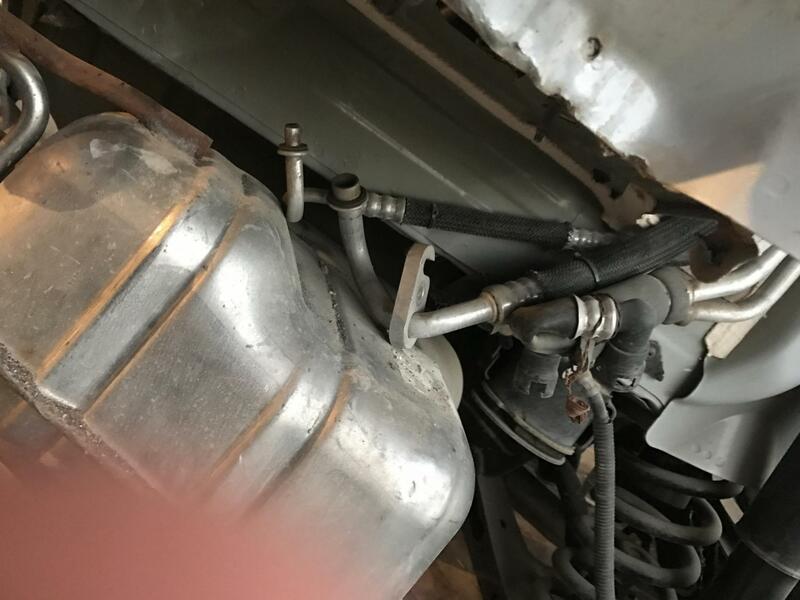 Just an educated guess,........ guess provided by someone on a car forum. Also, and most importantly, why would anyone just assume that the rear heater core was the problem just because there is loss of heat in the rear? If like the many older systems there could be a coolant cutoff valve/bypass upstream in the line that blocks flow of hot coolant from the engine to the radiator core when A/C is in operation..........could be a screw up with a frozen valve or solenoid switch cutting flow of hot coolant to the rear heater core or the could be the HVAC controls or the software controlling it.